The European Court of Justice has ruled against Ireland in a case involving a wind farm project in Co Galway where a landslide killed 50,000 fish in 2003. The court said that a proper environmental impact assessment should have been carried out before the project proceeded. This ruling relates to the Derrybrien wind farm project, the biggest ever wind farm in Ireland at the time and one of the largest in Europe. Today's ruling will have major implications for the way the Government has allowed other projects to proceed before full environmental checks required under EU law have been carried out. 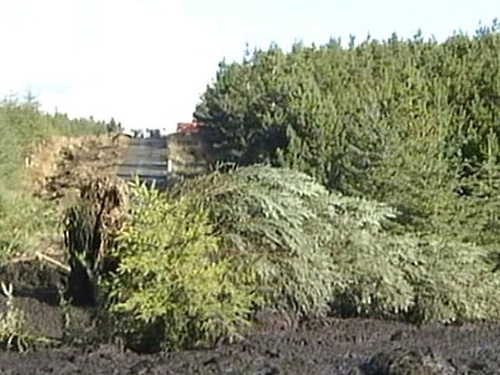 In October 2003 a landslide at Derrybrien dislodged 450,000 cubic metres of peat over a 32km area, polluting a river and killing 50,000 fish. The Government argued that this was caused by poor construction work, but the court found that it was because a proper environmental impact assessment or EIA had not been carried out. The ruling covers other cases where an EIA was done only after works began. These include quarry developments in Offaly, Galway, Waterford, Clare and Monaghan; pig-rearing, peat-extraction and wood-processing enterprises in other counties; a hotel in Kildare which received retention permission only after it was built; and a convention centre in Citywest where work began without proper planning approval. The court ruled that retention permission can be applied only in exceptional circumstances and argued in effect that the application of Irish law was too loose.